This is a story about folk music, hill music and scratchy early blues — about guitars and banjos, fifes and flutes, and voices raised in song on sweltering back porches many years ago. And it’s about how people from the University of Washington School of Music’s Ethnomusicology Program are helping return some of that music — collected decades ago and fading from local memory — to its birthplace, with teaching materials to explain its cultural and historical context. This is work for which the program is perfectly suited, blending as it does musicology and anthropology with performance studies and community engagement. But the story really begins with a pickup truck bumping along a dusty Appalachian back road in the 1930s, with a huge tape recorder filling the back and music collector Alan Lomax at the wheel. Lomax, a folklorist and ethnomusicologist like his father, made a career of collecting and recording music where people lived, worked and worshipped. From his first independent work in the 1930s until the 1980s, Lomax explored America’s Mississippi Delta and Midwest, the Appalachians, the Ozarks and eastern Kentucky, then the Caribbean, Europe and even North Africa. He recorded many since recognized as American music greats — Leadbelly, Jelly Roll Morton, Woody Guthrie, Muddy Waters and more. In time, the McCarthyism of the 1950s sent Lomax abroad, where he continued his work for years, and across continents. Lomax was not the only one; producer Moses Asch also collected and published music during the same years, and later formed what was to become Folkways Records, the label that brought folk music to the American mainstream. Folkways was bought by the Smithsonian Institution in 1987 and is now Smithsonian Folkways functioning as both a recording label and an important musical archive. 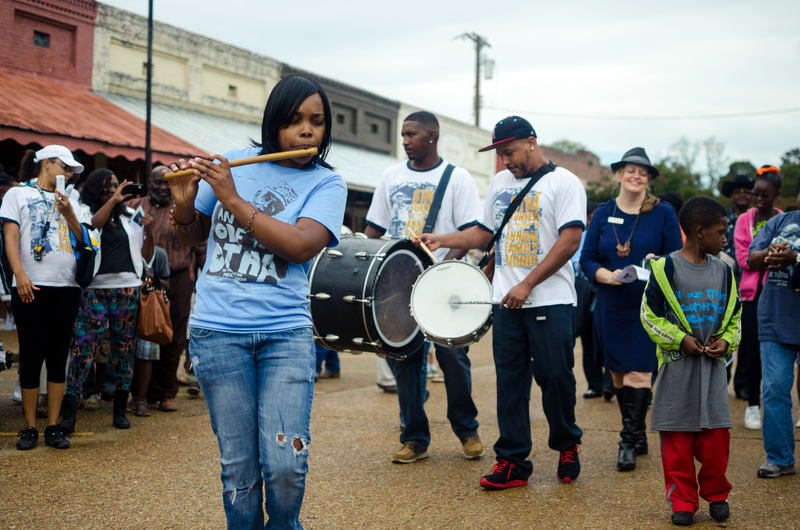 Read about the UW and Association for Cultural Equity’s October 2013 music repatriation in Como, Mississippi. 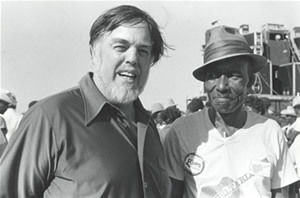 Read Anna Lomax Wood’s essay about her father, folklorist Alan Lomax. Writer John Szwed published the biography “Alan Lomax: The Man Who Recorded the World” in 2010. It is through the Smithsonian’s ongoing work that Patricia Campbell, a UW professor of music, and her ethnomusicology colleagues, enter the story. Ethnomusicology became her academic home, which Campbell explained is about more than just collecting songs. “It’s an analysis of song, of music in culture — and of music as culture — of knowing the musicians and understanding their stories” and how they express themselves through music. 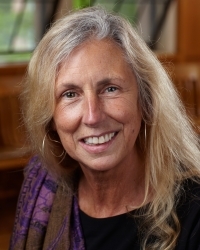 Campbell began working with Smithsonian Folkways, helping them get their music “out of the archive and into the public sector.” She now chairs the association’s advisory board. Together with doctoral students Rita Klinger (who has since passed away), Christopher Roberts and Amanda Soto, Campbell designed a special summer curriculum for school and university teachers to use the online resources of the Smithsonian-Folkways recordings and films. The course has run for six summers at the UW, and has been taught at other universities in the U.S. and in Mexico. The two threads of the story wove together several years back when Campbell got to know Anna Lomax Wood, the only daughter of the famed folklorist, who died in 2002. Wood is now president of the Association for Cultural Equity her father founded in 1983. Impressed by Campbell’s work in music education, Wood asked the educator to help open the huge and historically important Lomax archives — many now at the Library of Congress — back up to the world. Campbell was thrilled — and their work of music repatriation began in earnest. She started by creating lesson plans for Lomax-collected music being repatriated to Grenada, Carriacou and Haiti, and then for Como and Senatobia, Mississippi, where repatriation ceremonies were held in 2012 and 2013. There are three main repatriation projects, Campbell said, starting with the Mississippi hill country and then in rural Michigan. Come September there will be a repatriation back to East Kentucky, “where the original ‘House of the Rising Sun’ comes from, and was recorded by Alan Lomax,” Campbell noted. After the 2013 repatriation, Campbell was invited to lecture about music education at the University of Mississippi and give workshops in Oxford, Mississippi, schools — work she’ll return to in the fall. Who receives these repatriated materials? Whoever is best able to receive and make use of them. At the Mississippi repatriation ceremony last fall, family members of artists recorded long ago stepped forward with pride. “It was magic in the room,” Campbell said. So many years have passed since Alan Lomax traveled dusty back roads across states and continents, many have forgotten about the music their own ancestors created.